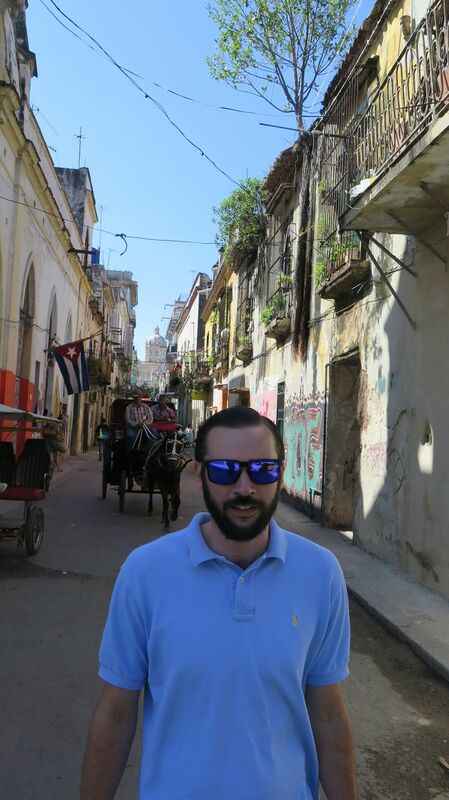 As always, this is NOT the true story of my trip. 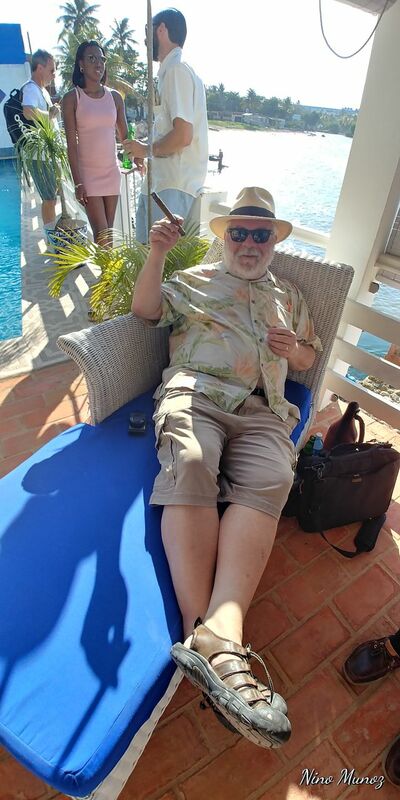 A lot is left behind, has been forgotten or has simply vanished in clouds of good cigar smoke and/or glasses of Rum and/or Bourbon …. 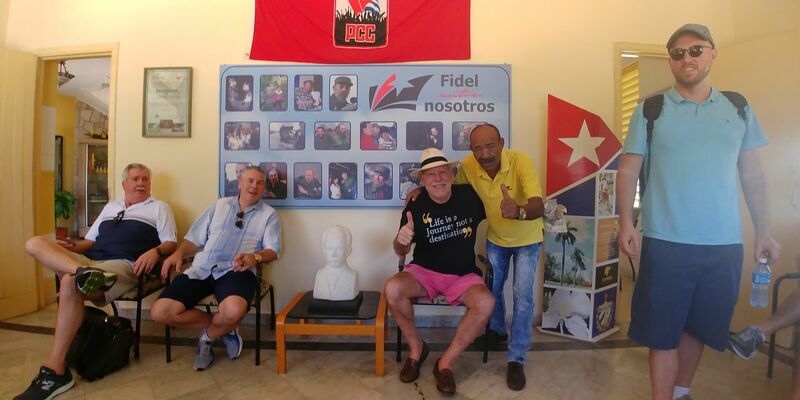 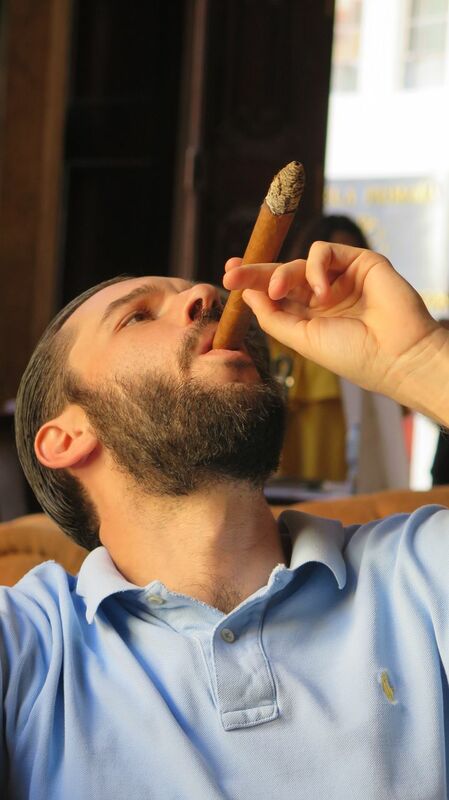 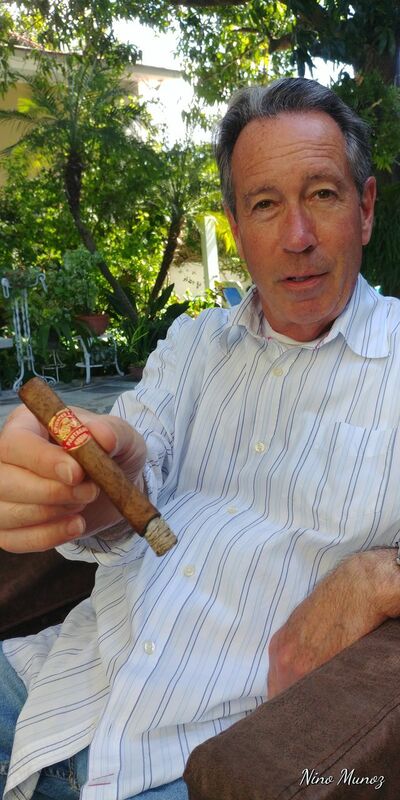 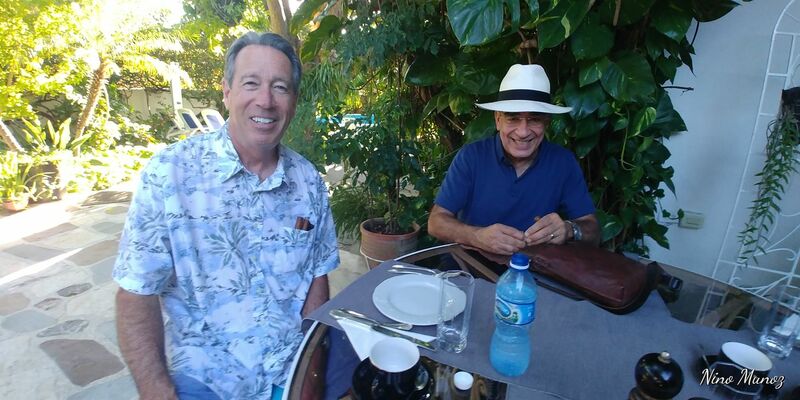 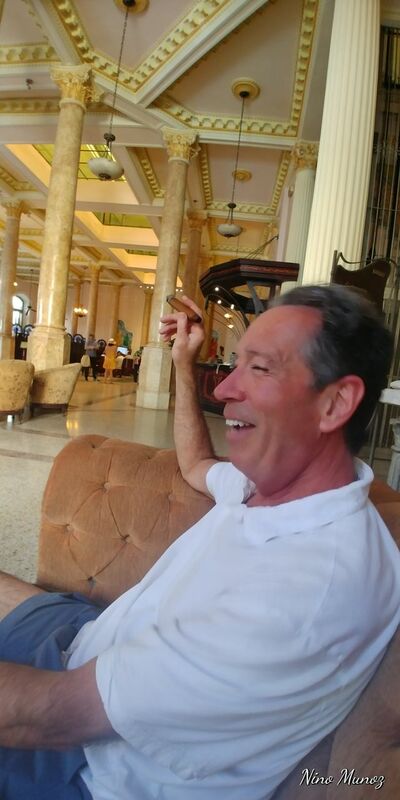 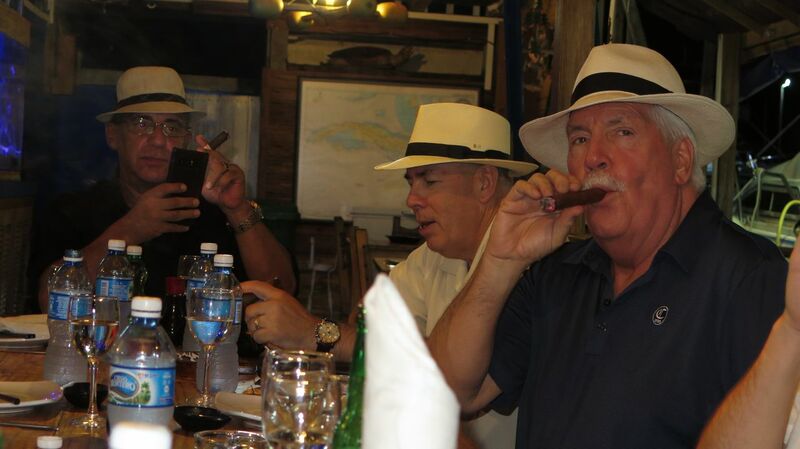 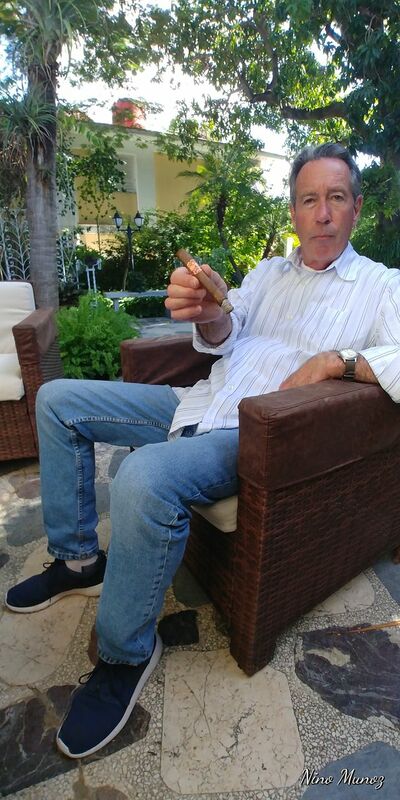 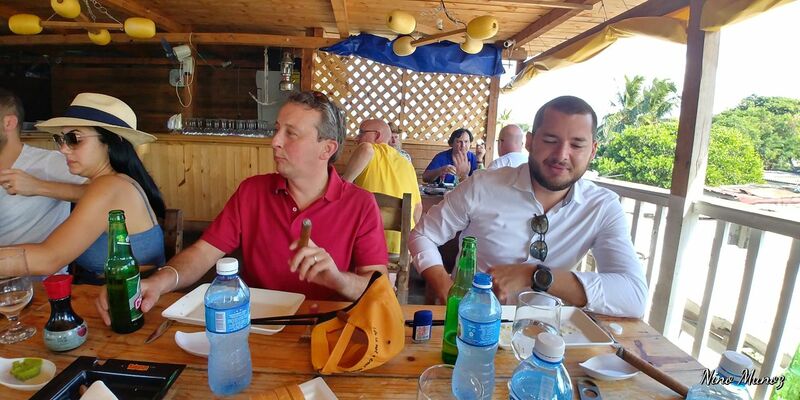 The facts, as I remember them, are of being almost a month in Havana having fun, meeting friends, having great meals and memorable cigars plus some fun and a bit of stress. 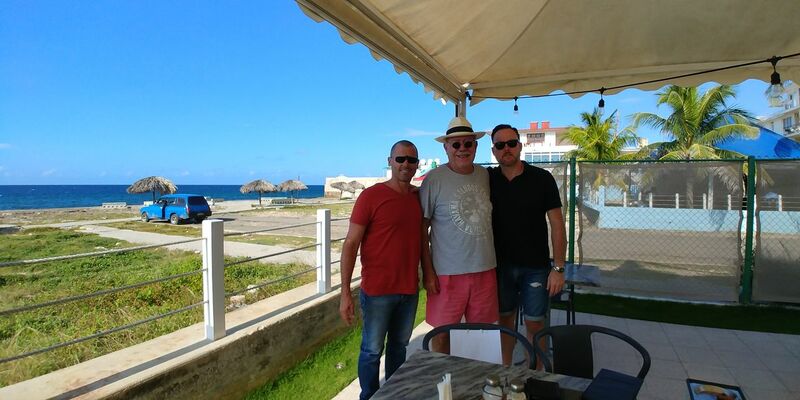 I was looking forward to meeting my old buddies from the US and share the few days that they stayed in Havana. 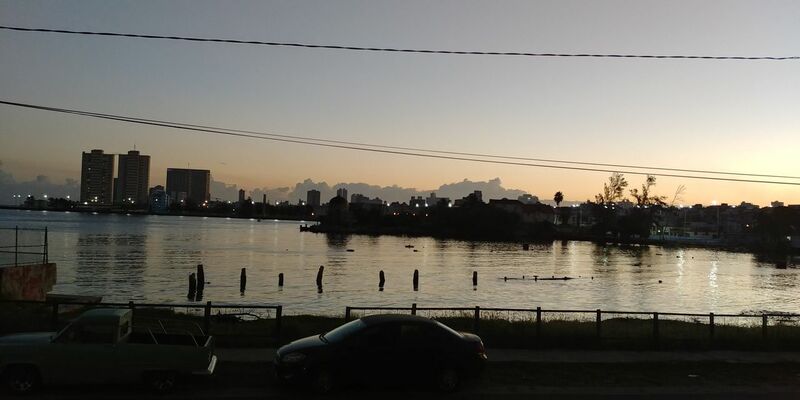 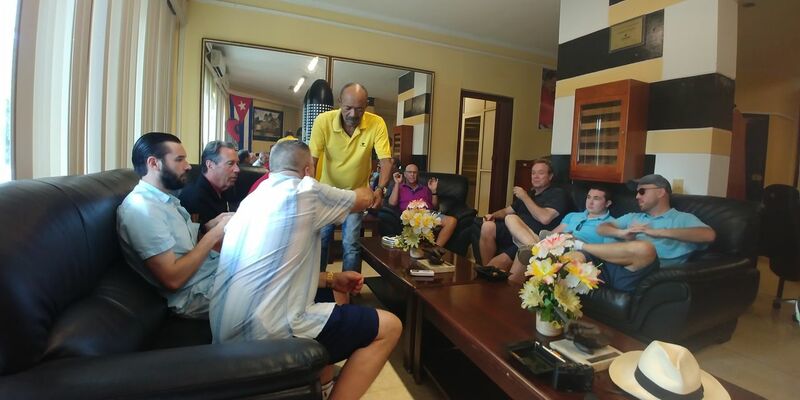 The first couple of days I stayed at the old Casa next to the Almendares river and took care of a Cuban friend in a very sad state of mind as he had lost his taxi licence for a few months. 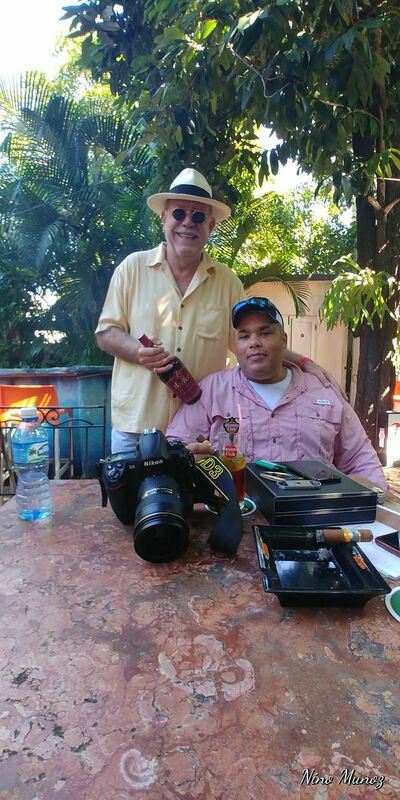 That helped him back into a better mood and gave me some respite as we would have time to talk and walk to Espacios in the evening for a quiet cigar and some drinks together. 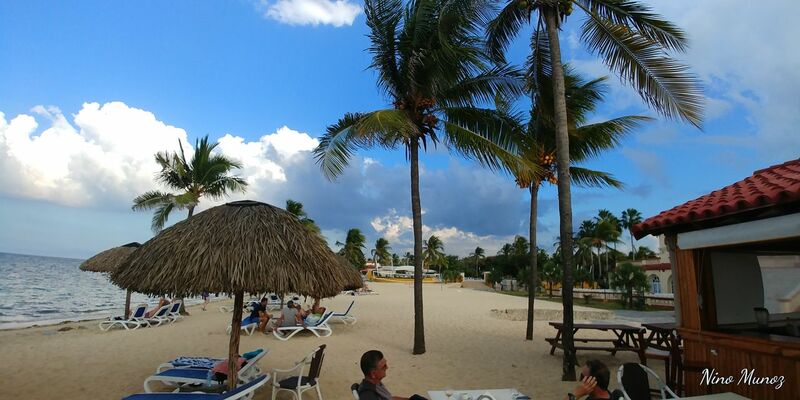 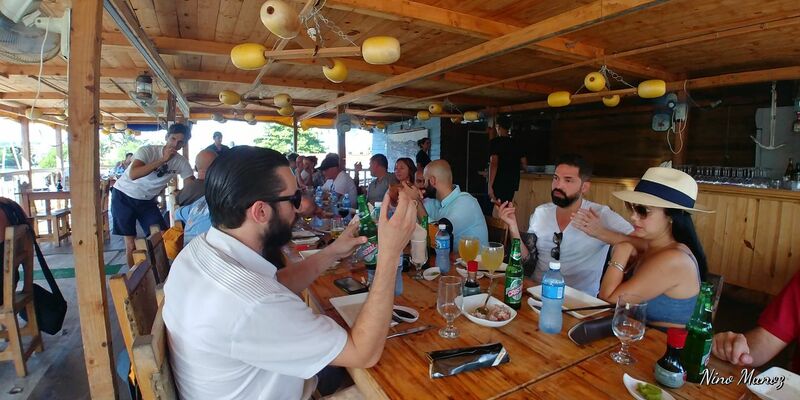 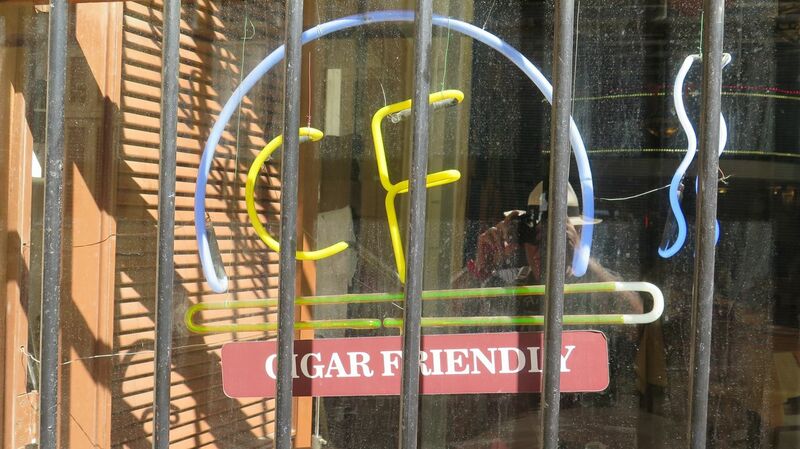 No rushing around for a cafecito at Partagas in the morning and other popular hang-outs. 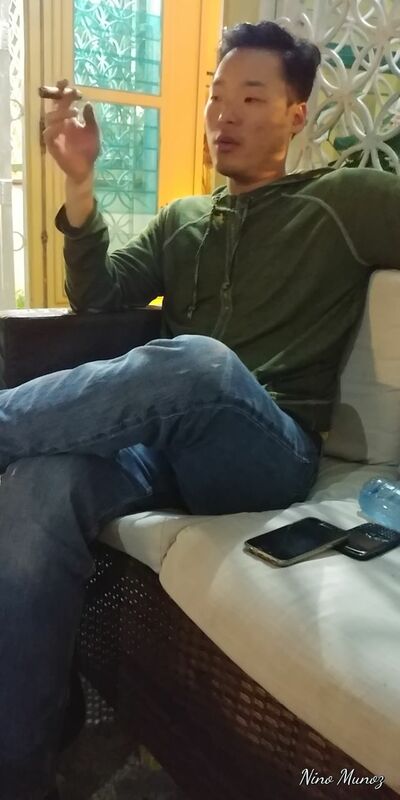 Down time. 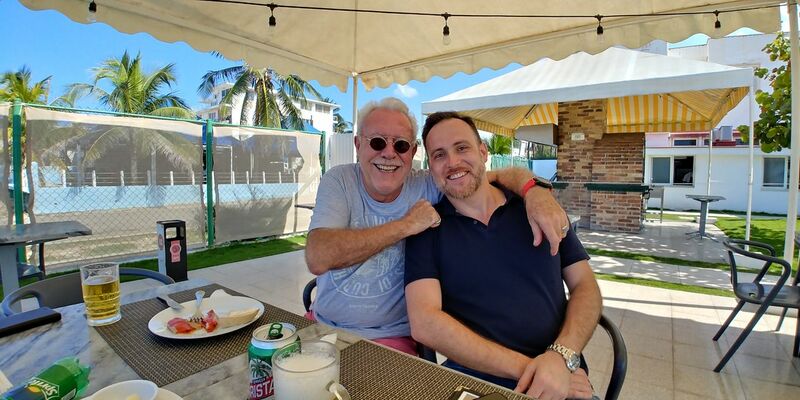 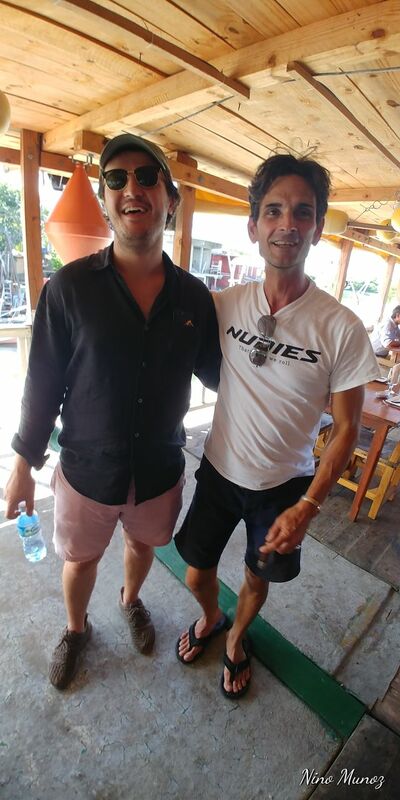 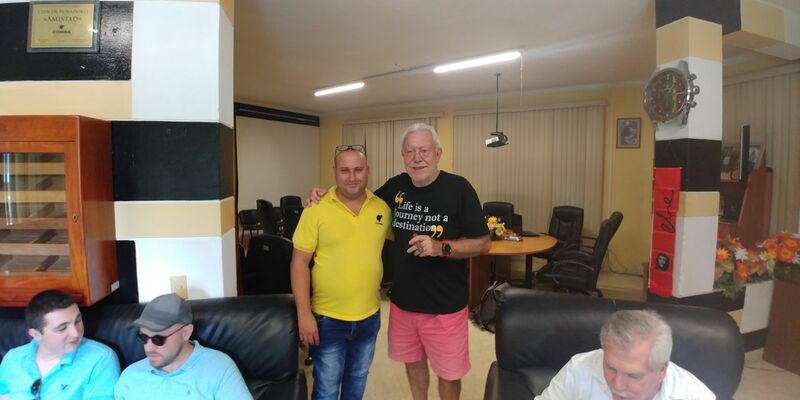 I was specially happy to meet my good hermano Simon from Montreal and share some time with him – gracias por la maravillosa Casa en Miramar Simon ! 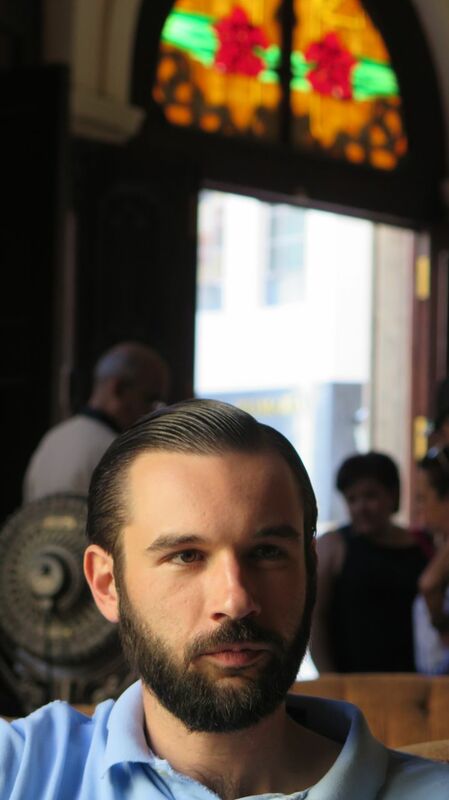 One of my rituals by now is having a haircut ( or two ) at Papito’s in Barber’s alley. 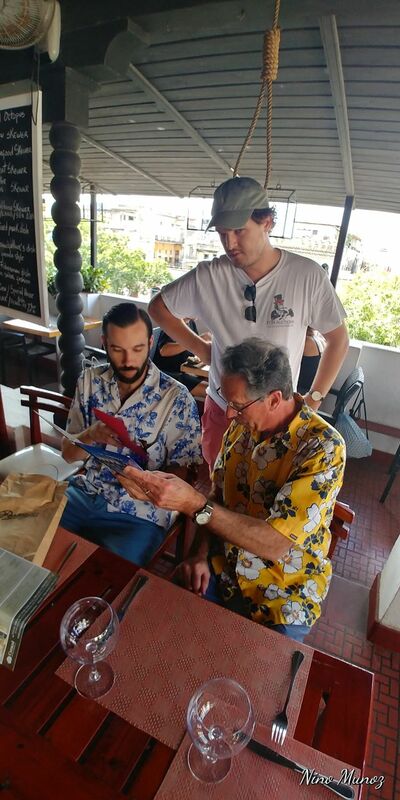 Again Lachy used me ( and later my friend Javier ) as a model to teach his newbie class. 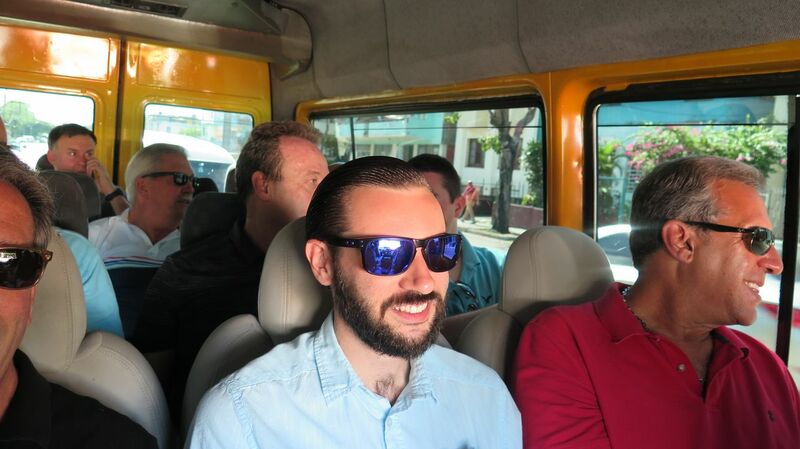 We felt like celebrities but there was no applause at the end. 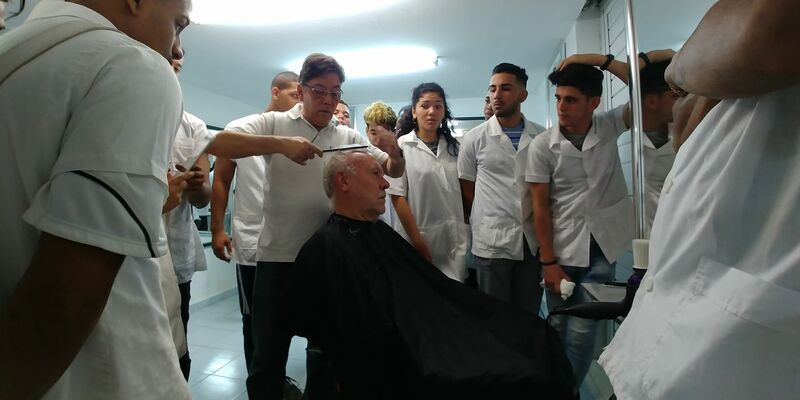 Always encouraging to see the good work done there to teach kids a useful trade. 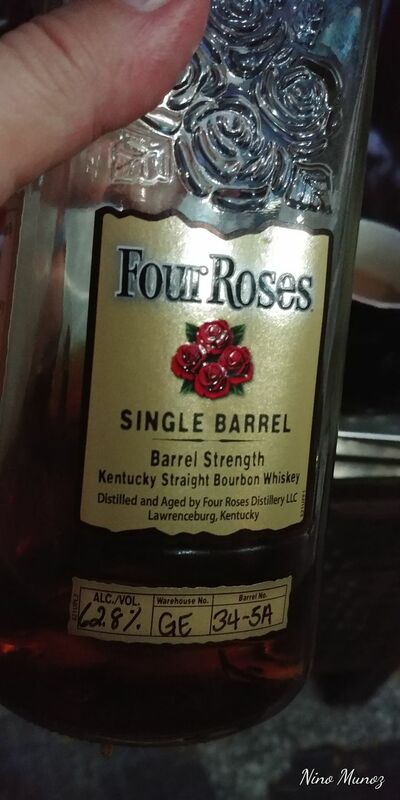 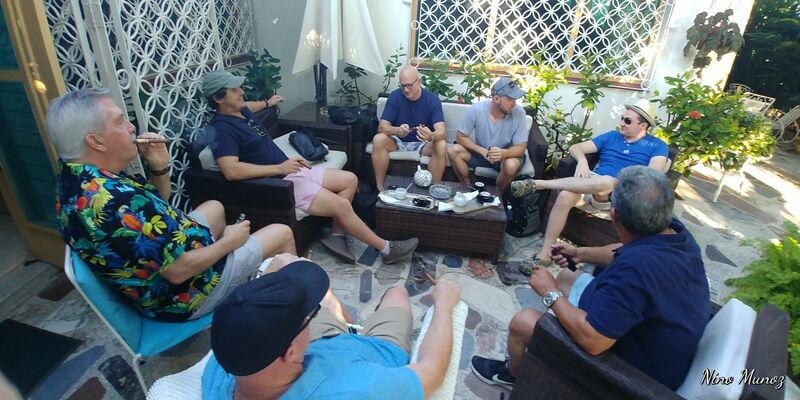 Charlie, Jody, Ed, Eddie, Bryan ( Thank you for the Bourbon ! ) 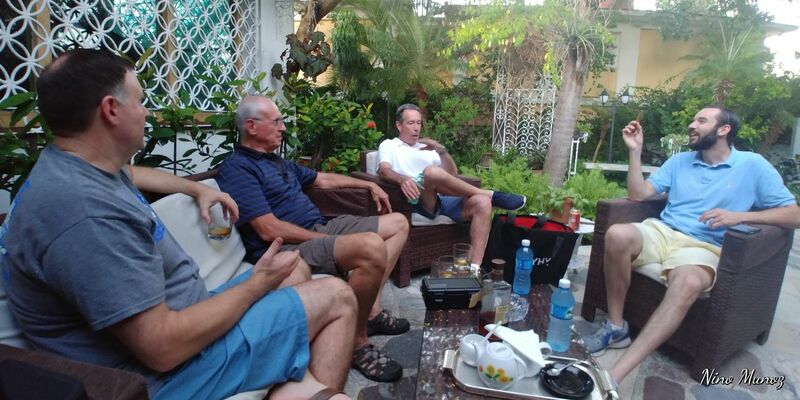 and his father plus some new members of the gang arrived and the fun started. 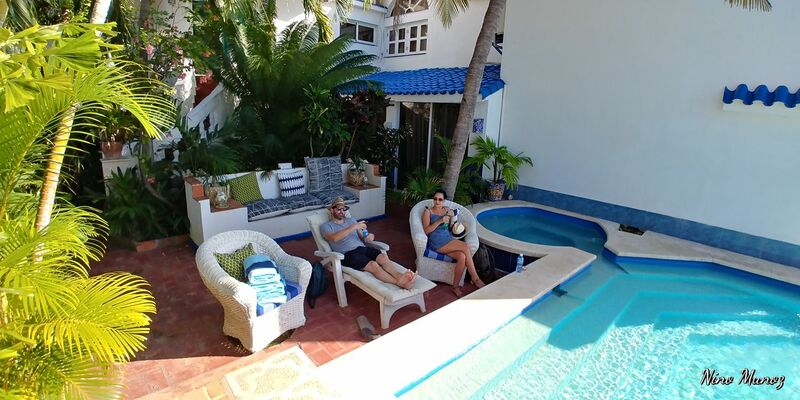 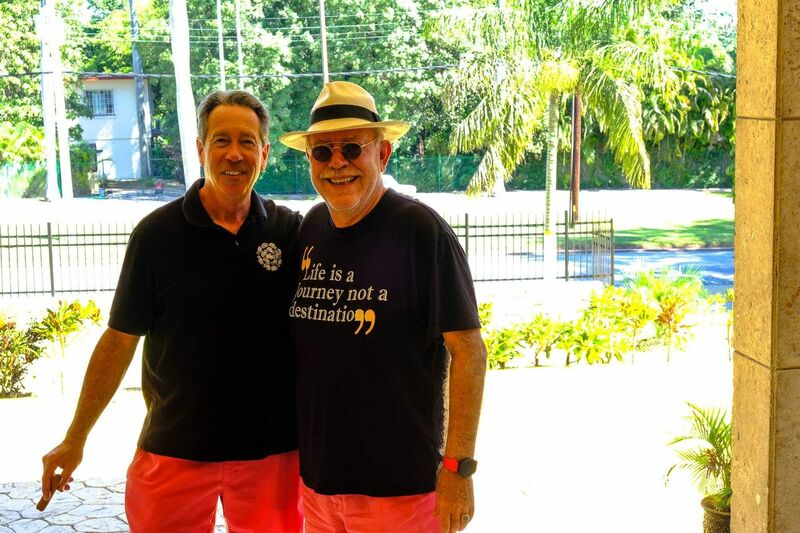 They were staying in nearby Casas and would congregate every morning at the Casa I shared with Cory and my new “twin brother” from another mother John to plan the day’s events. 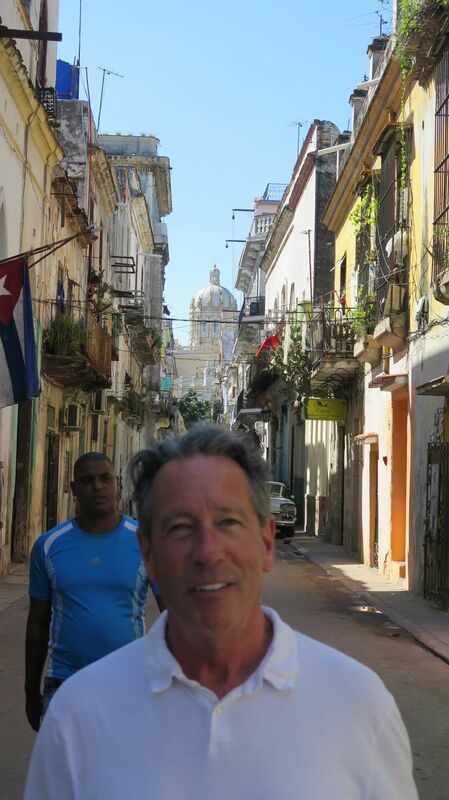 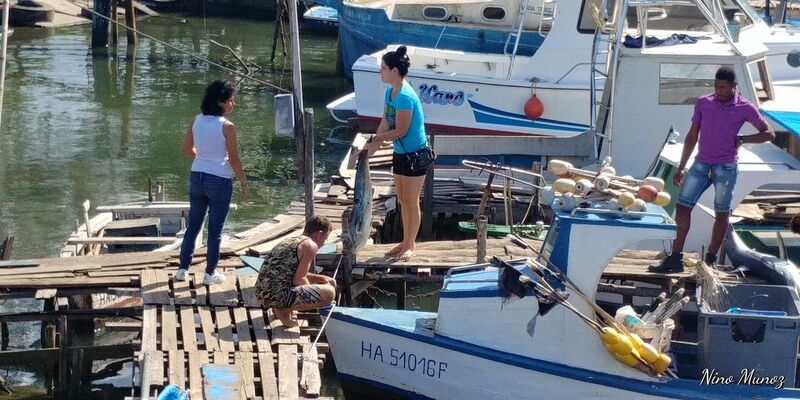 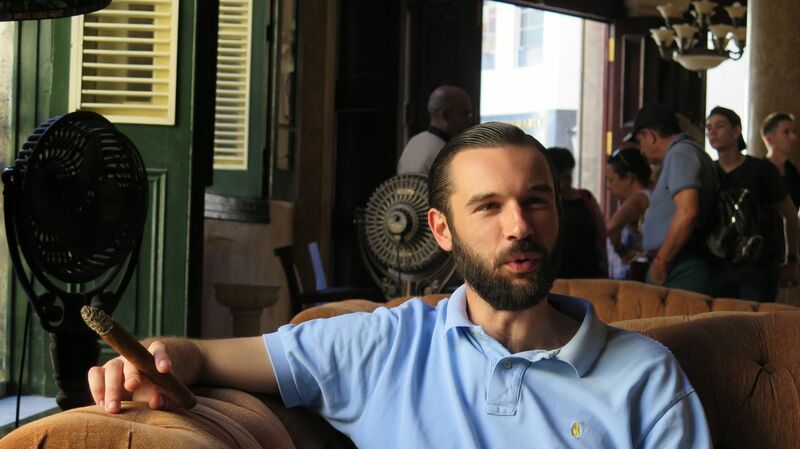 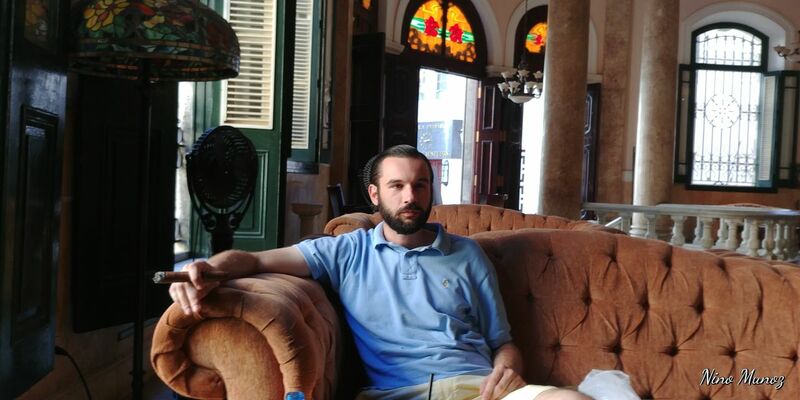 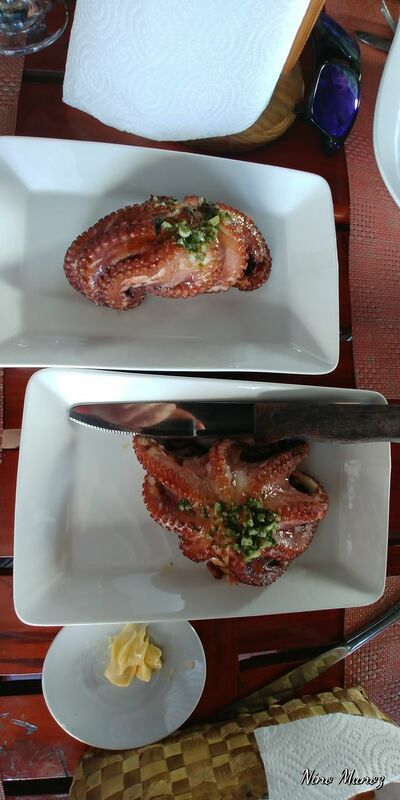 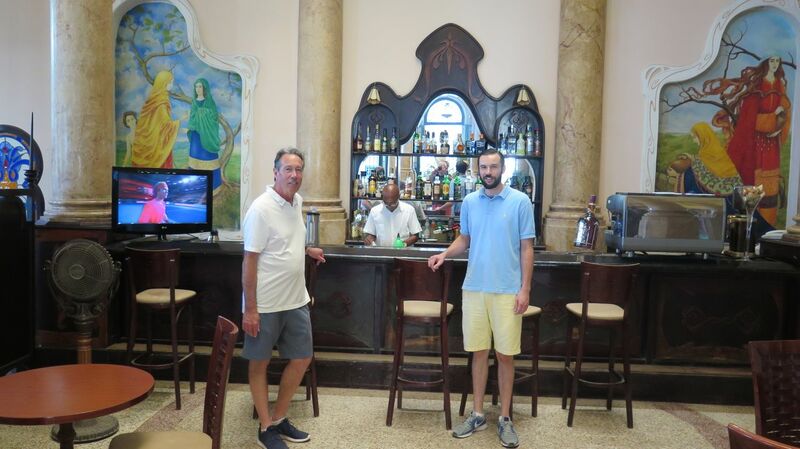 It was visiting the old places, Santy’s, Espacios and other haunts in Havana for good meals and a good time. 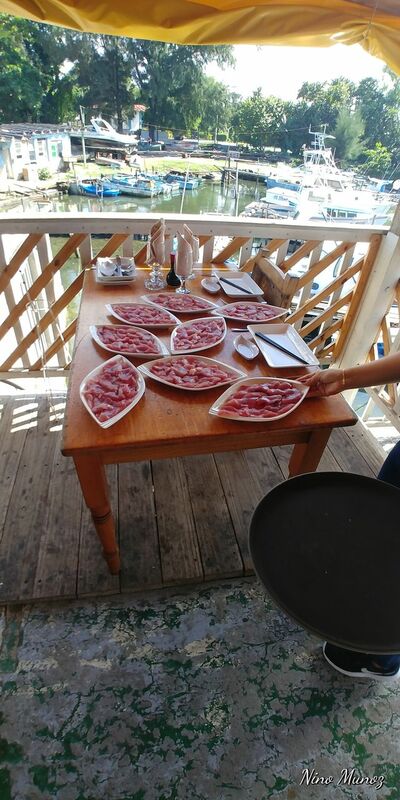 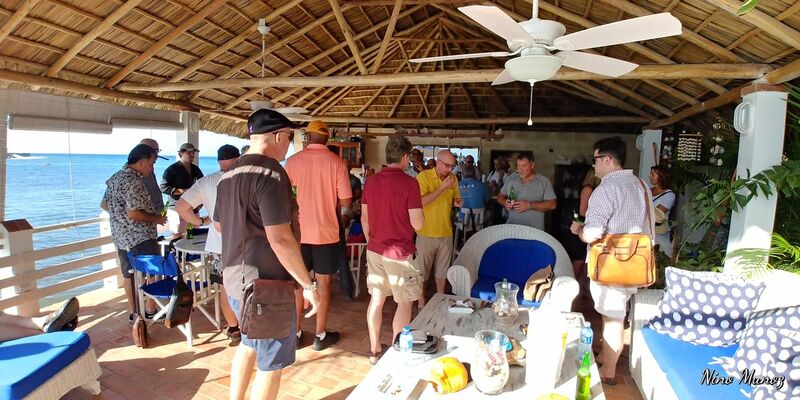 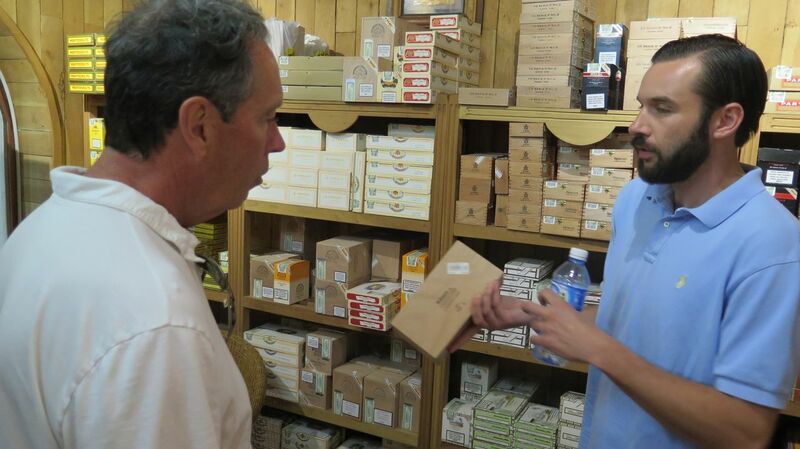 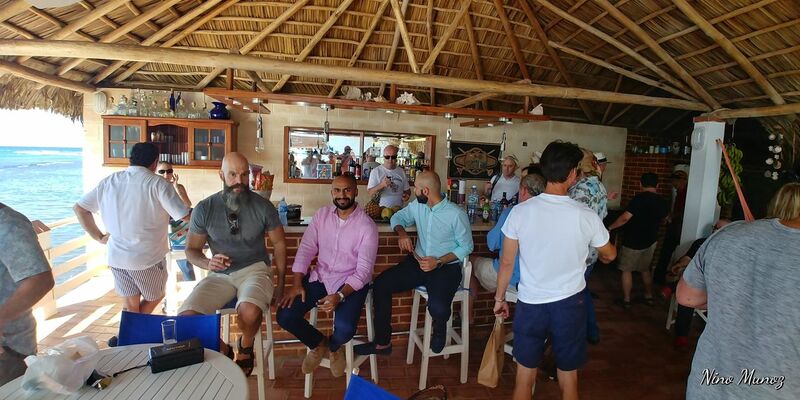 Cory had a trip organized to visit the farms and drop by Hector Luis and took the lead with many friends along. 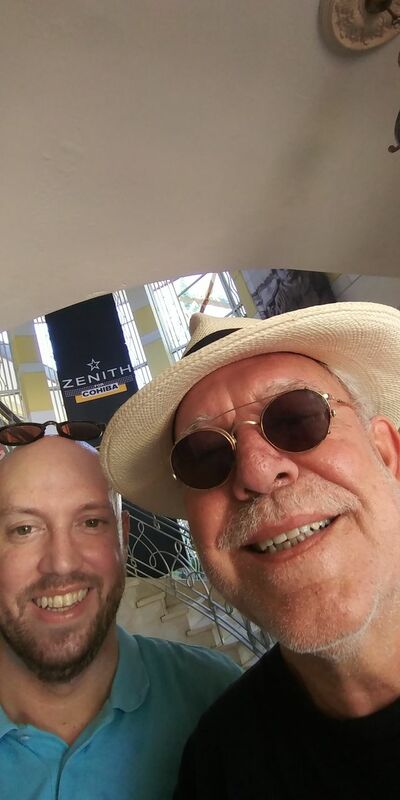 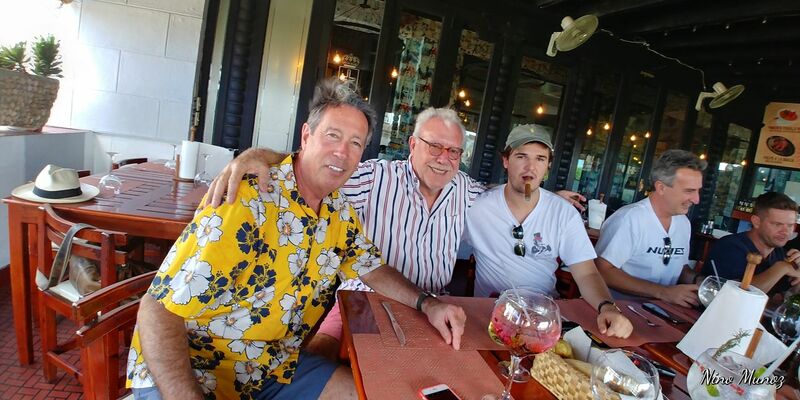 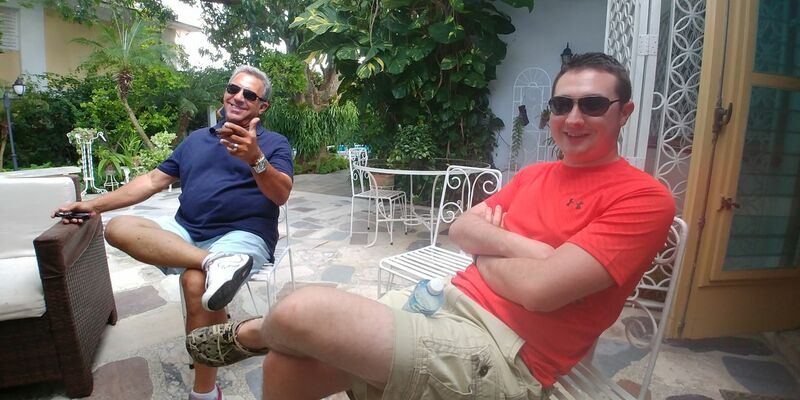 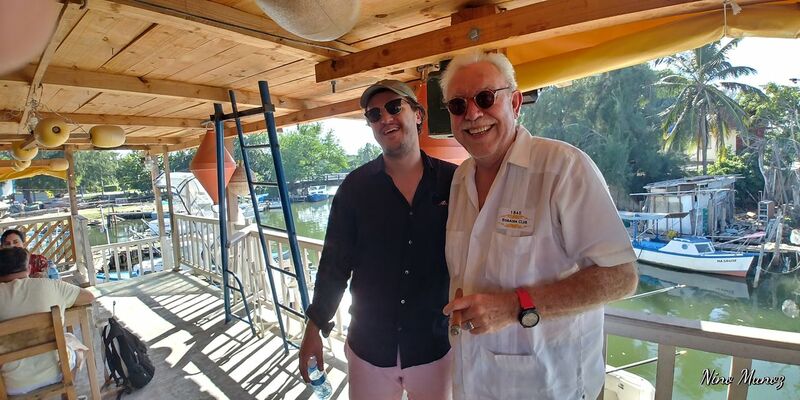 Among them was Ben, another great bright young man and Rob Ayala’s son, intelligent and focused, great fun to be with and enjoying his first visit to Cuba in grand style. 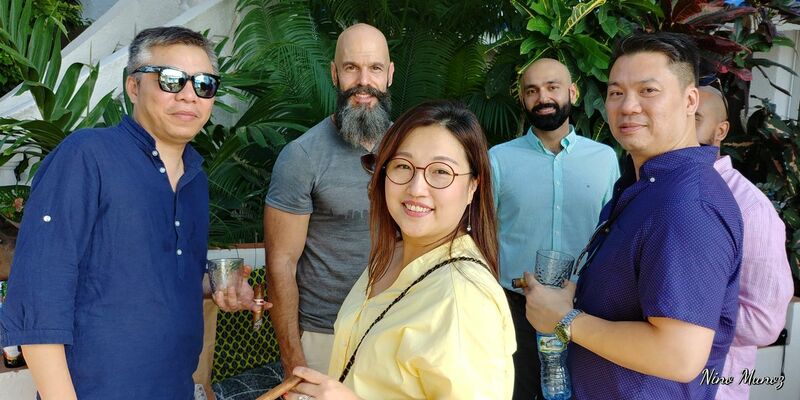 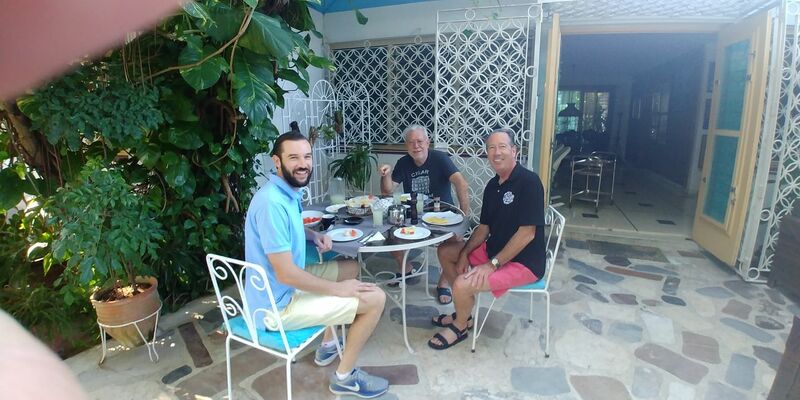 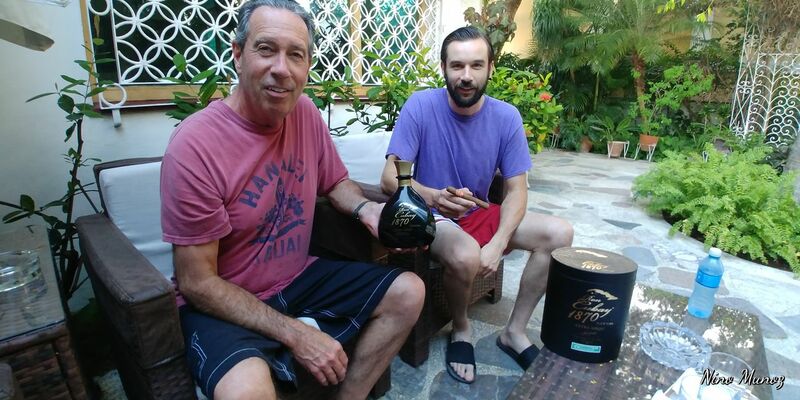 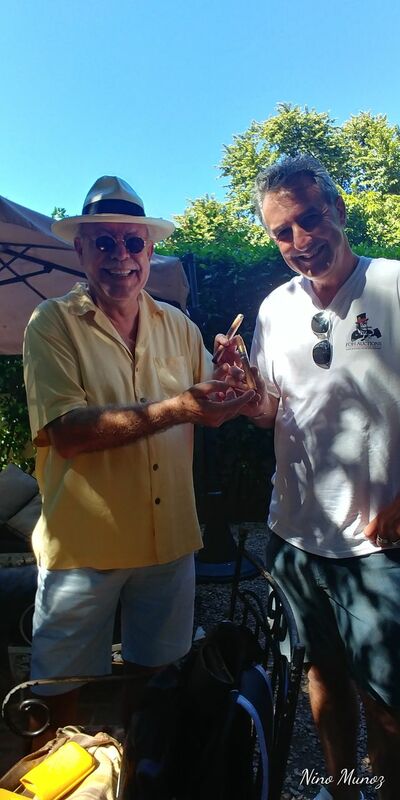 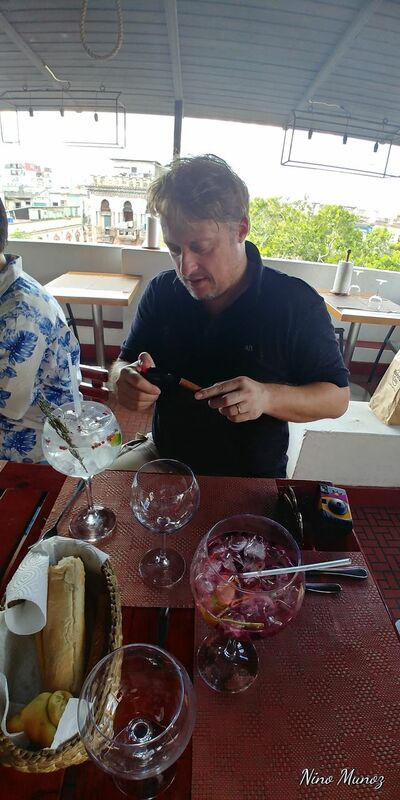 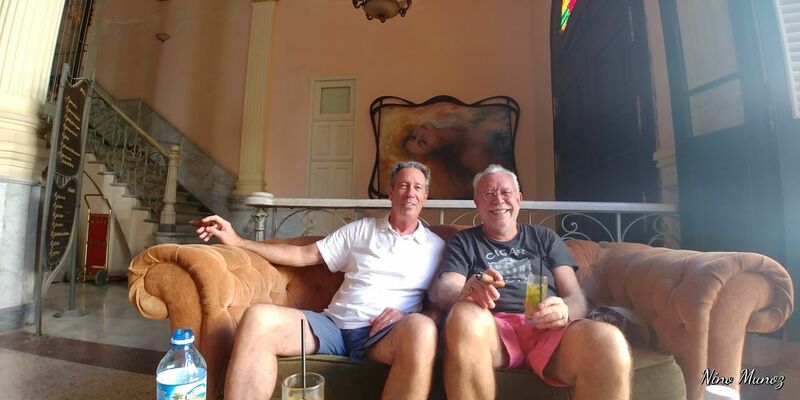 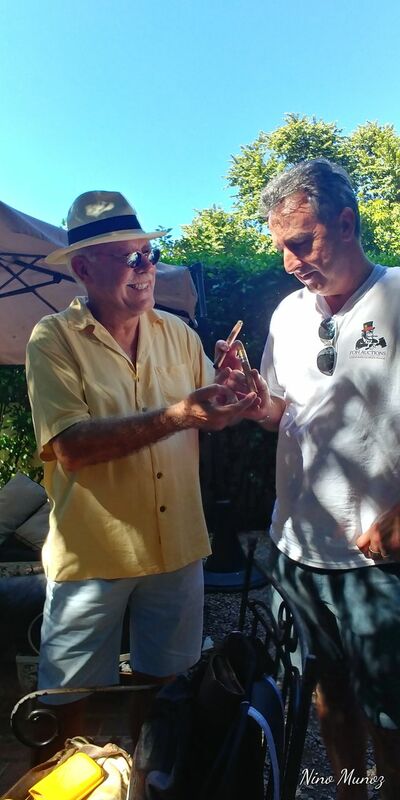 First meeting of the FoH group was at my favourite garden lounge in Havana, Espacios and I was happy to meet Gene ( Thank you for the Bourbon ! ) 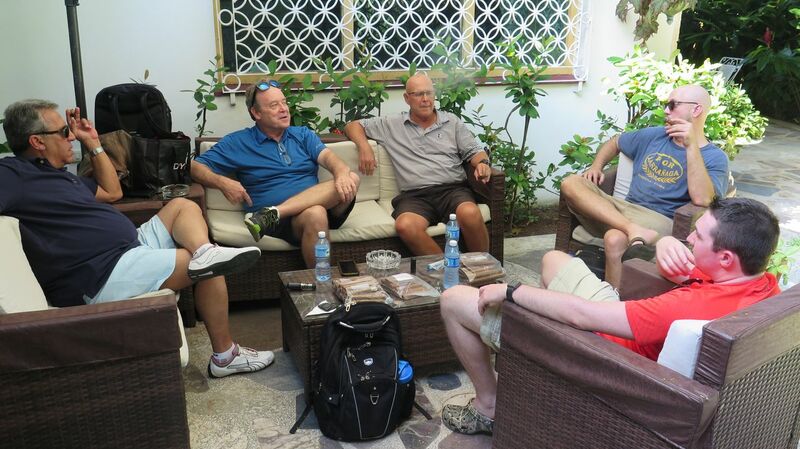 and a bunch of fine FoH members in a very relaxed atmosphere. 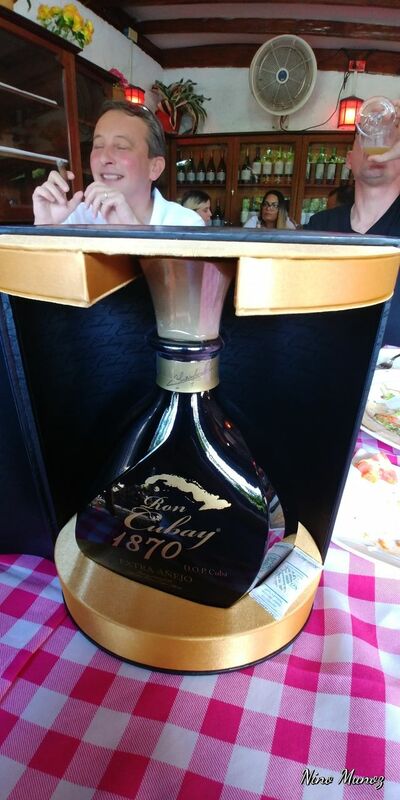 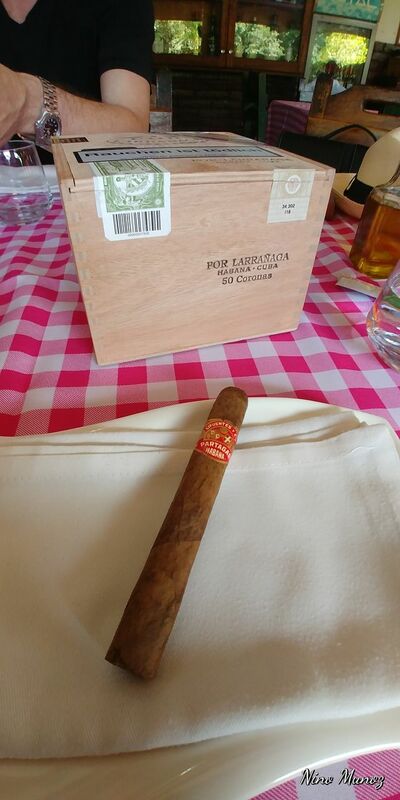 Thank you Rob for the kind gift of the Sir David and I hope you enjoyed the PL Corona 5ta Avda. 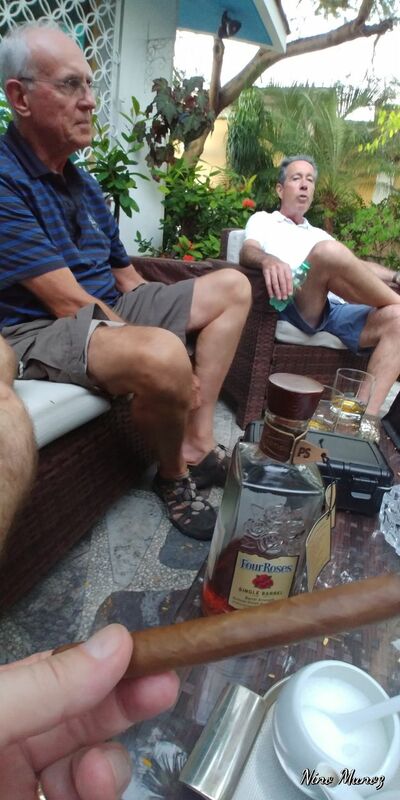 before being hosted nearby in Jaimanitas by the Irish contingent of Rob and Stuart Fox as well as Andy Ryan. 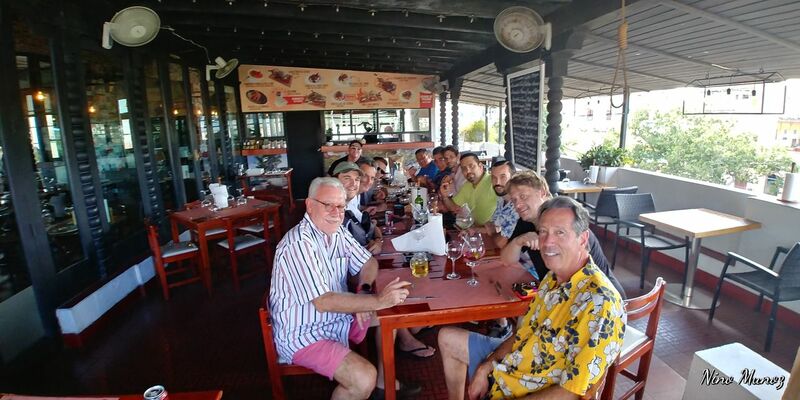 Thank you very much for your excellent hospitality gentlemen !! 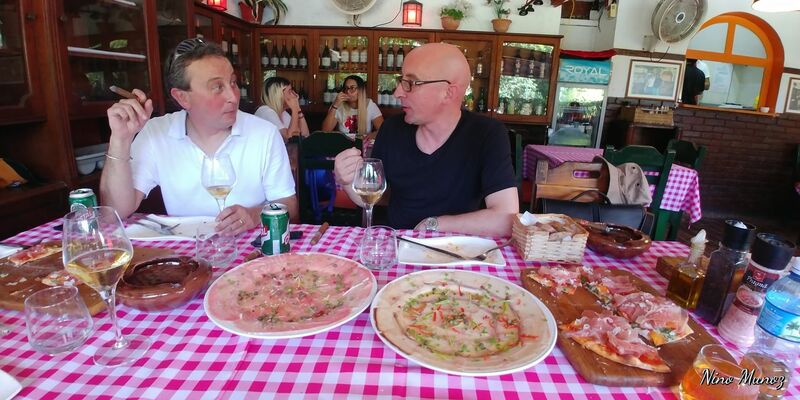 Speaking of the Irish, I was honoured to have a private and delicious lunch with Rob, Stuart, Andy and Nick at La Corte del Principe, still the best Italian place in town. 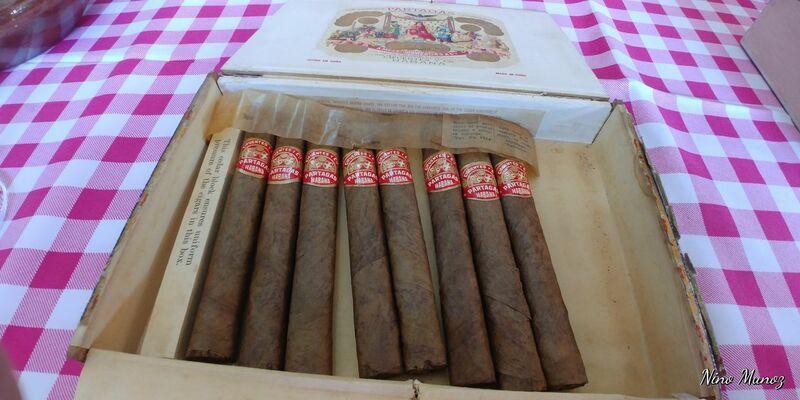 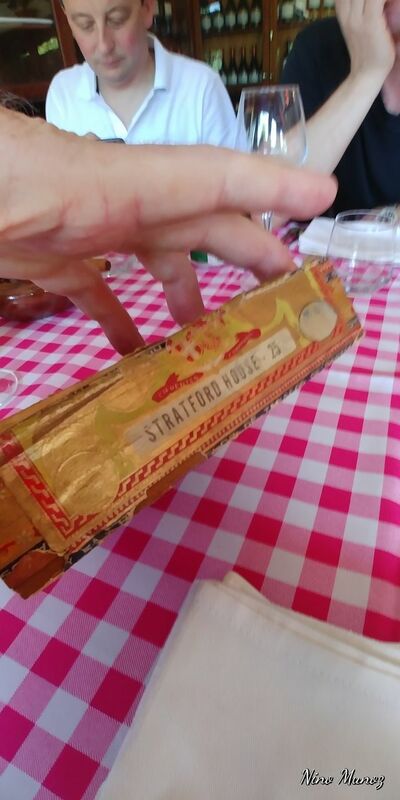 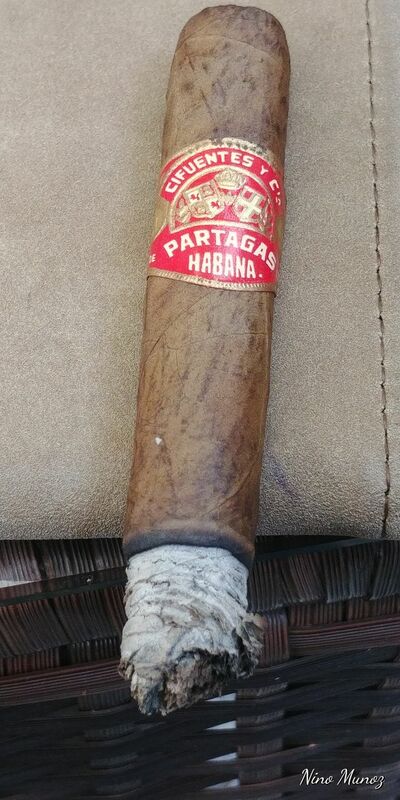 The cigars were 1950’s Partagas Stratford House – a cigar I shared later with Cory and John. 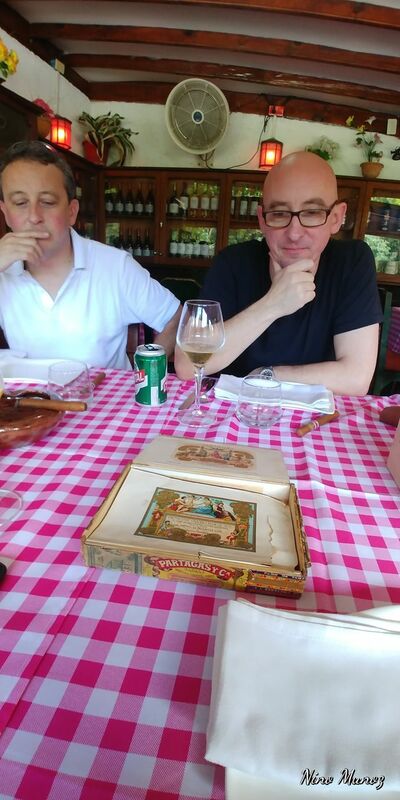 Amazingly alive and full of cream and aromas. 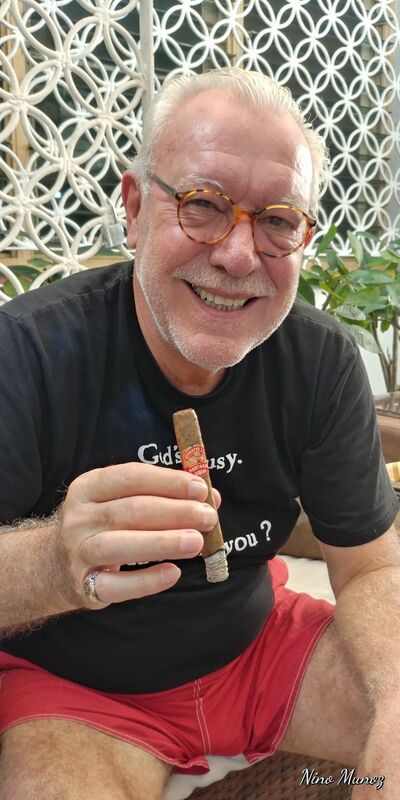 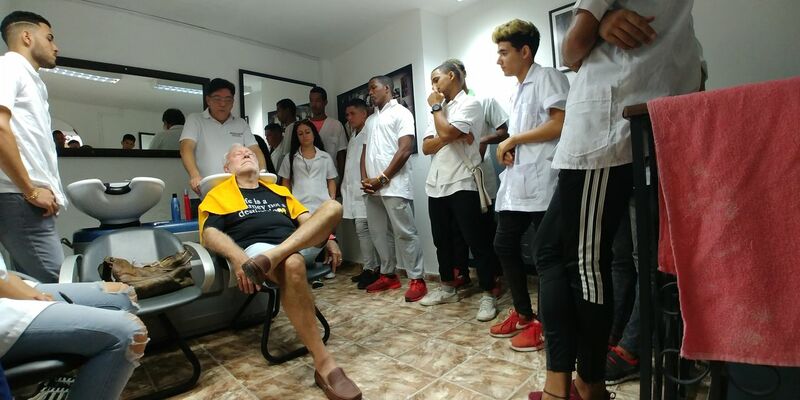 I passed around the PL Coronas 5ta Avenida Cabinet to them and to all my friends in Havana and, bless the Lord, not a single one was plugged …. 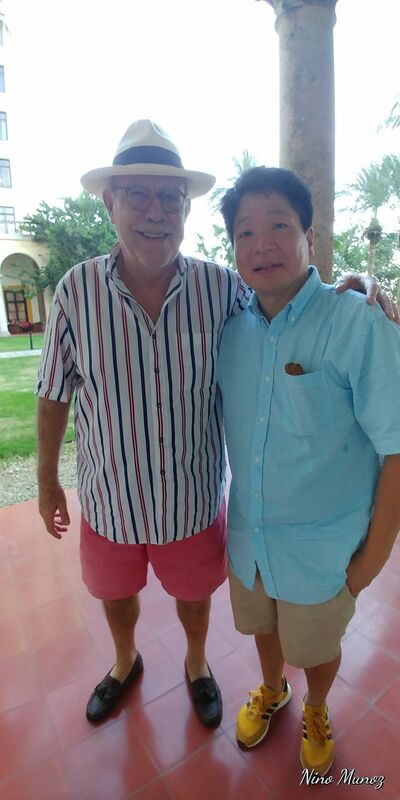 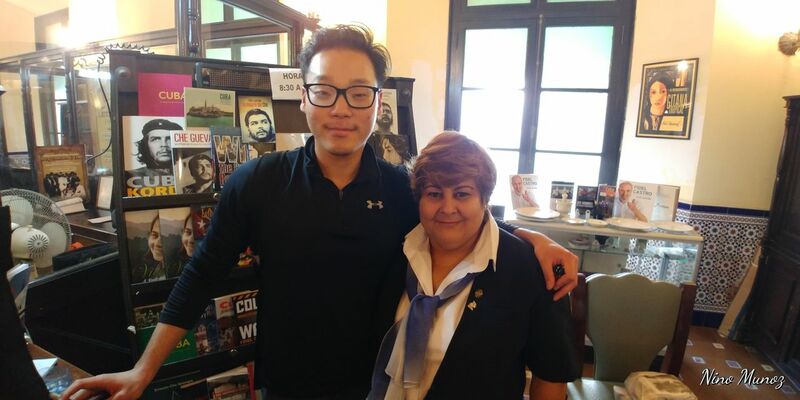 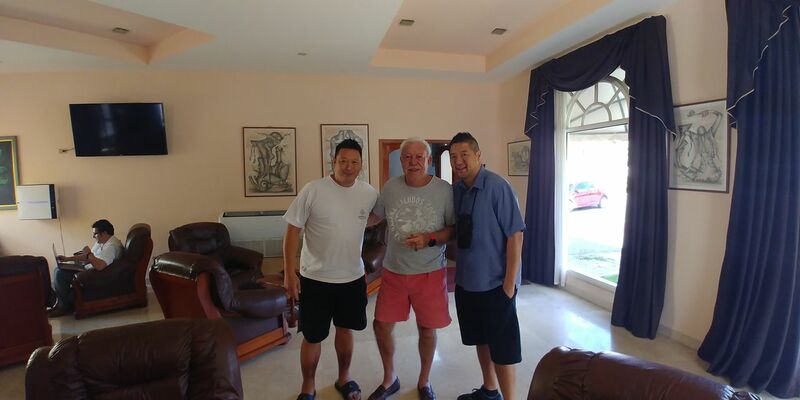 In between events and friends like the Chu brothers, Paul Chang and Marc Kim ( now working at the ashtray desk of the Hotel Nacional ), I would walk around with Cory and John having long breaks at the Hotel Raquel, lunch at Lamparilla 361 and enjoying Mojatas and cigars while solving the world’s problems in a civilized manner. 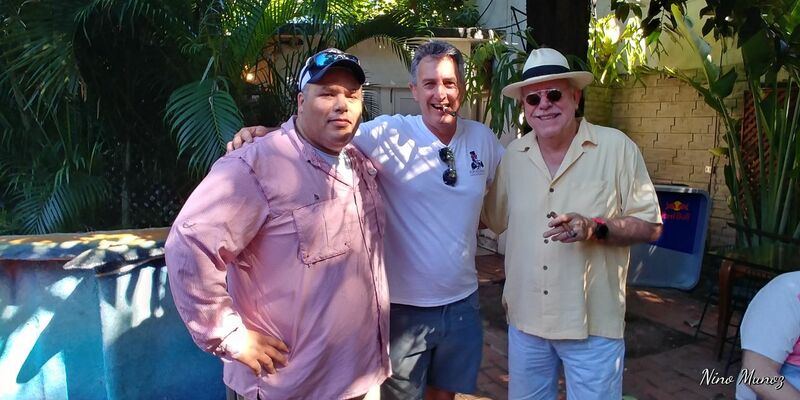 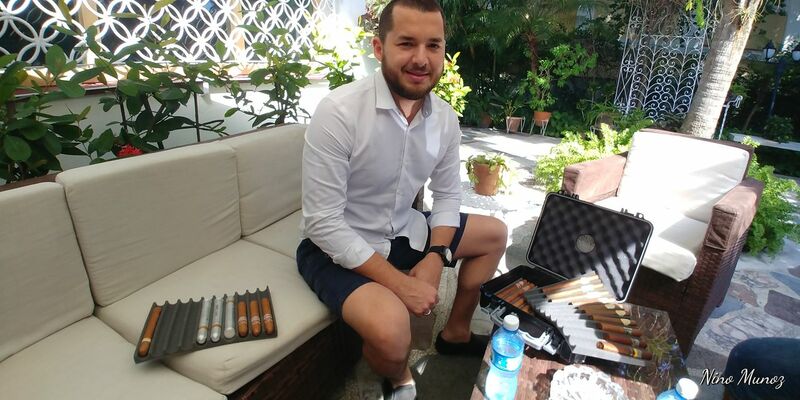 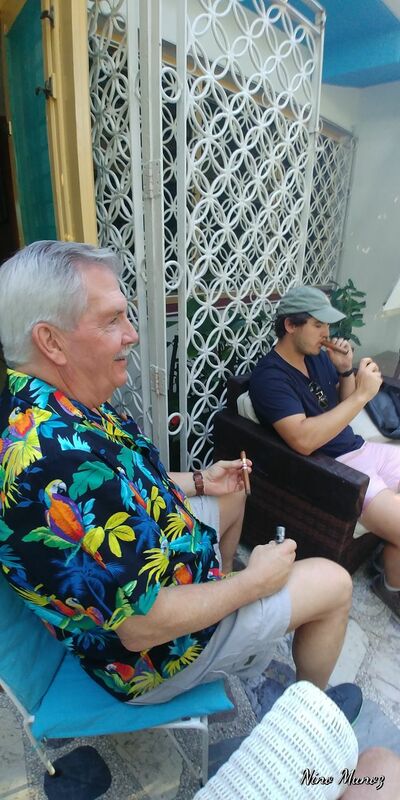 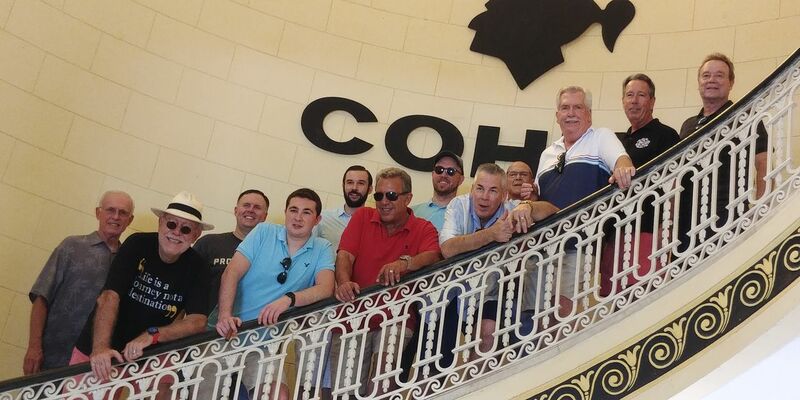 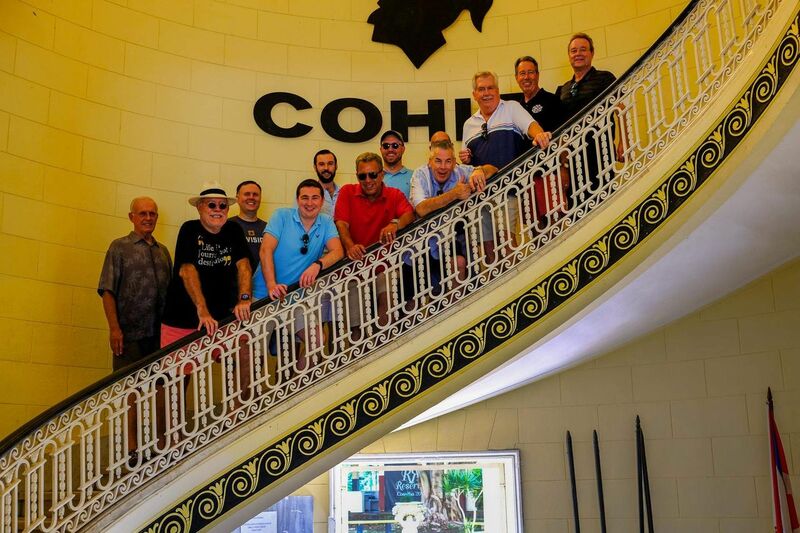 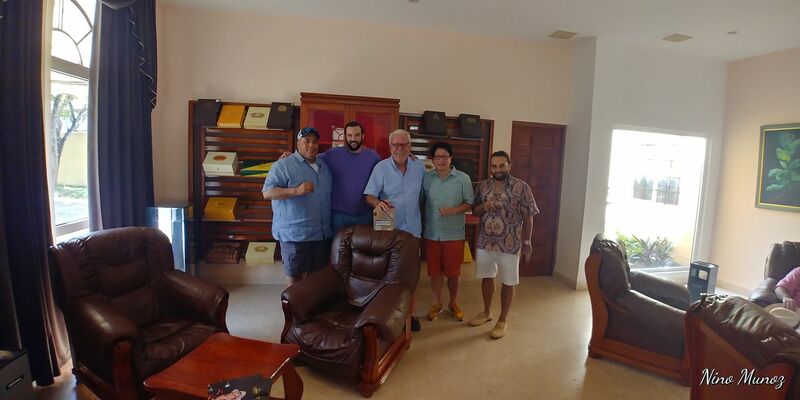 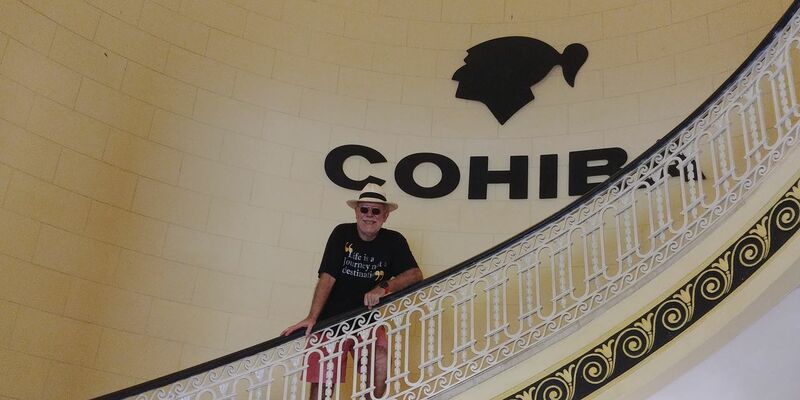 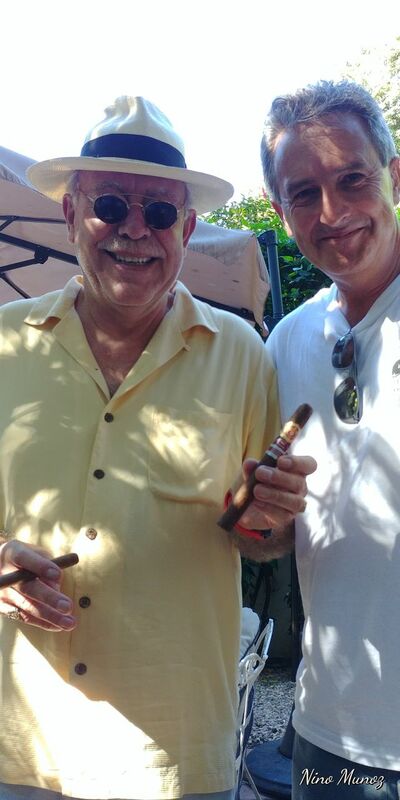 We were able to once again visit the cigar Vatican which was another great experience for us all, despite the many visits it is always THE experience of the trip for us all. 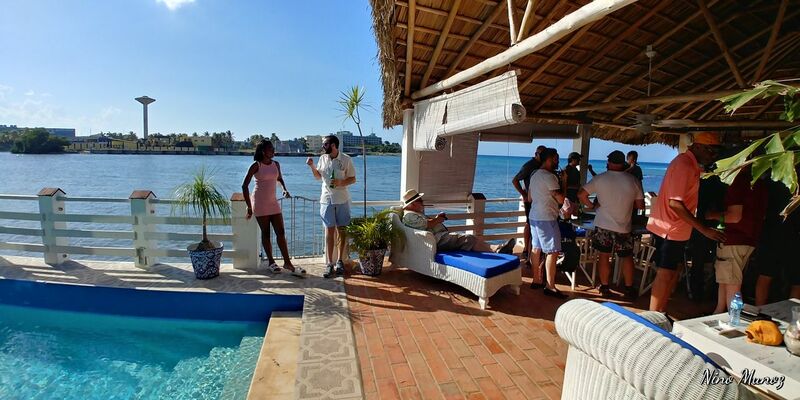 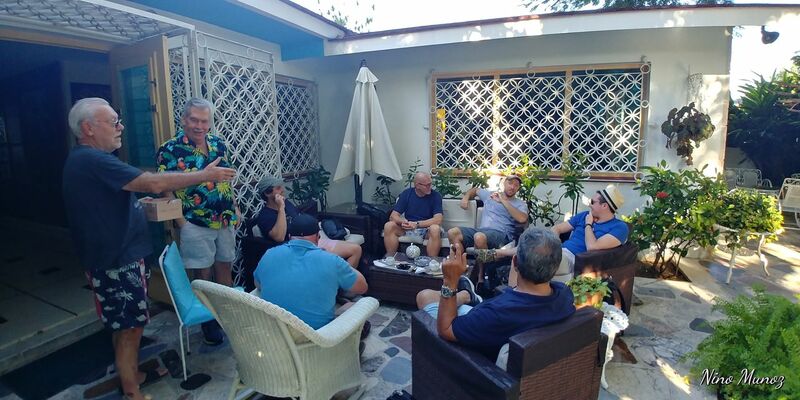 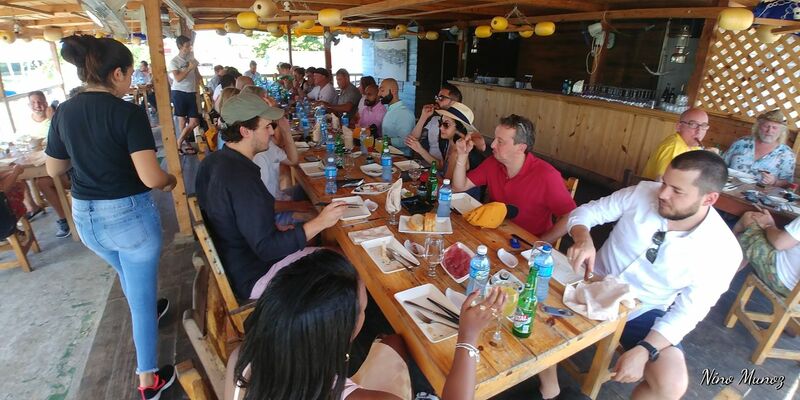 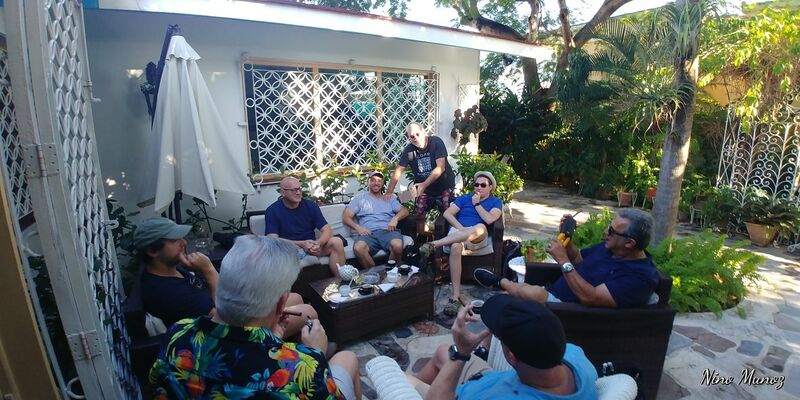 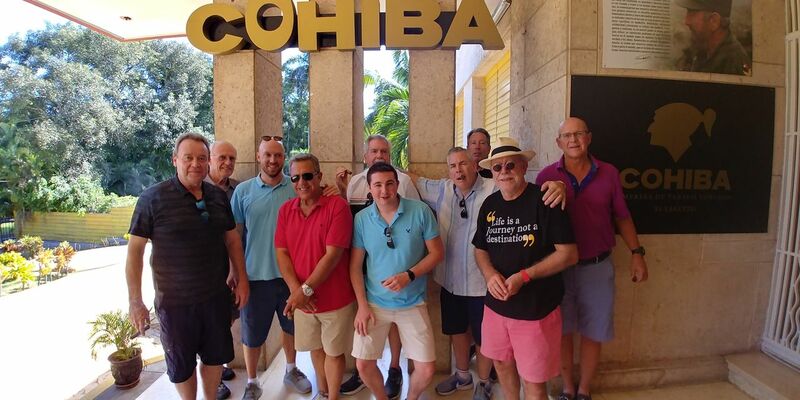 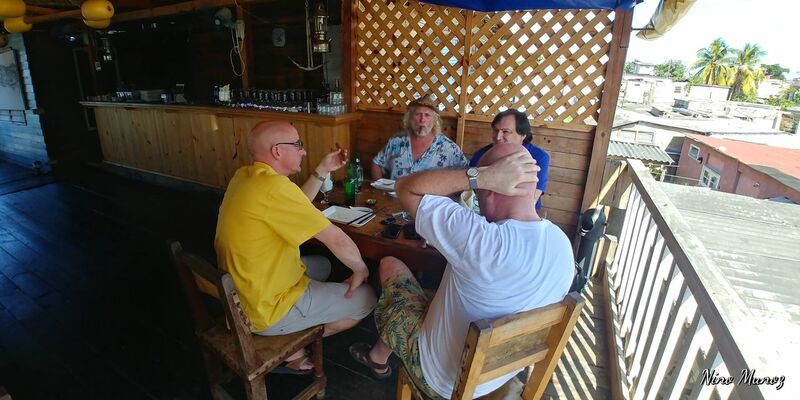 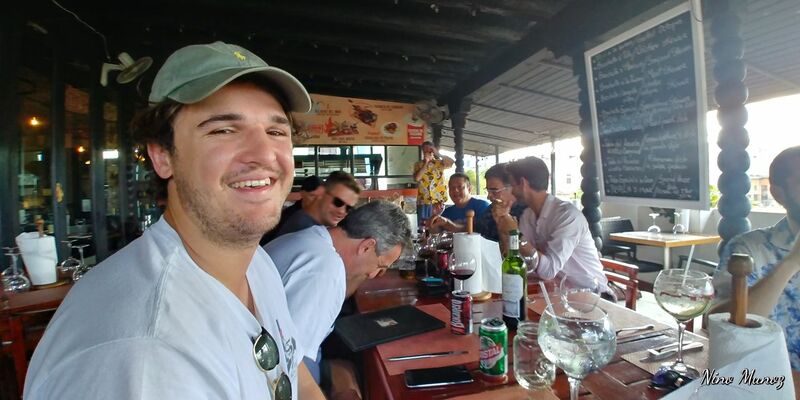 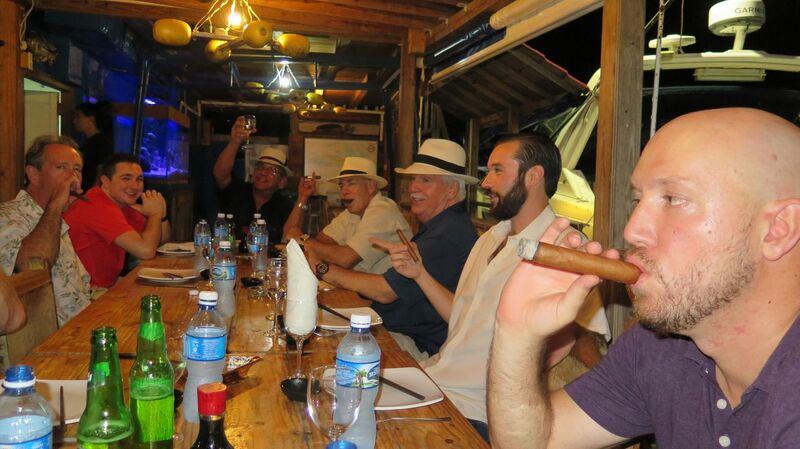 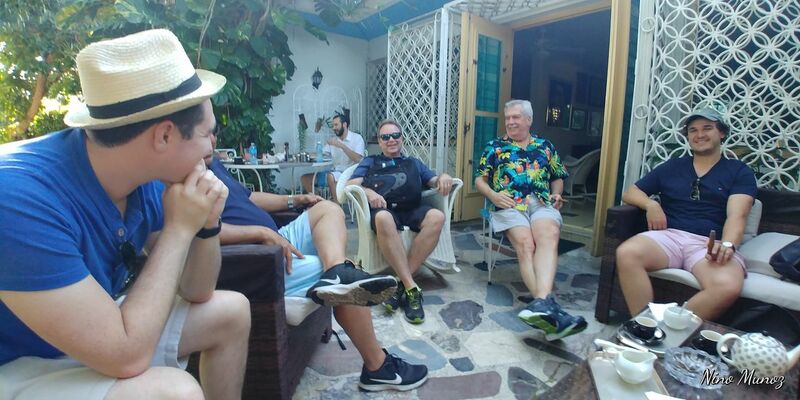 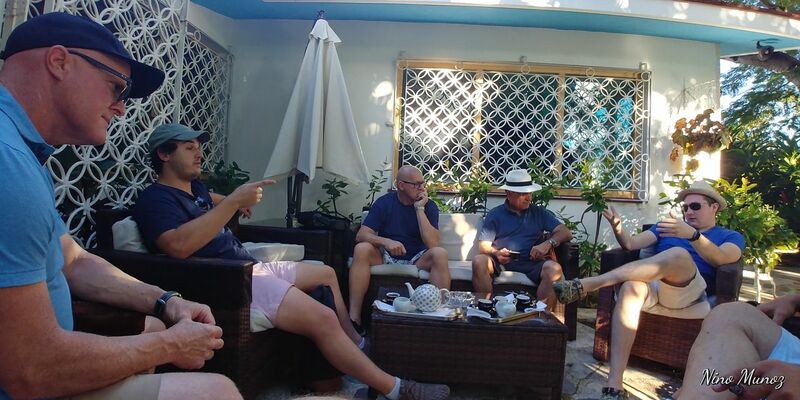 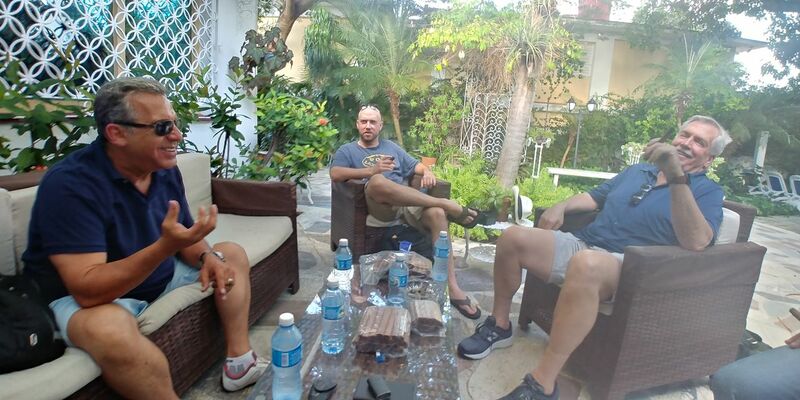 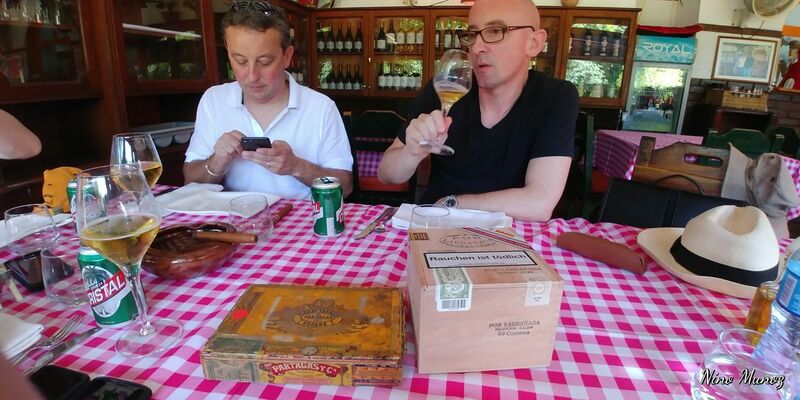 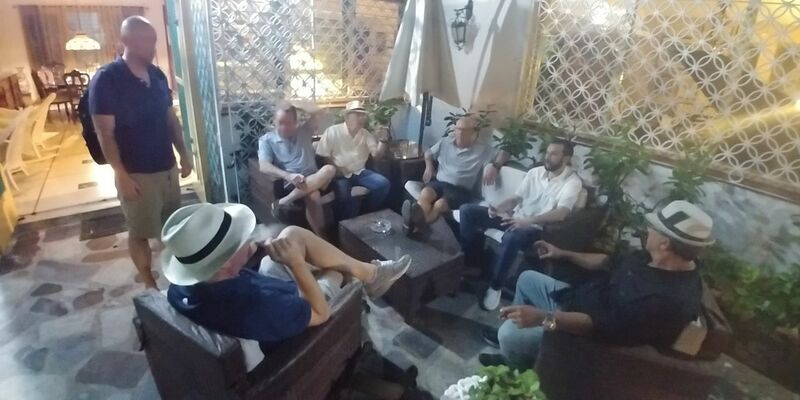 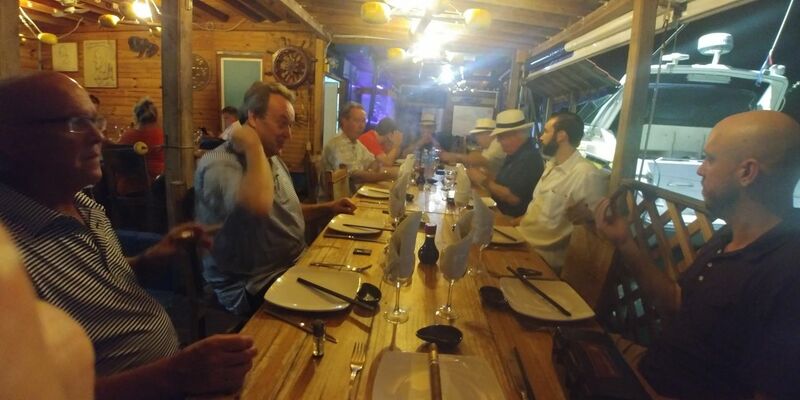 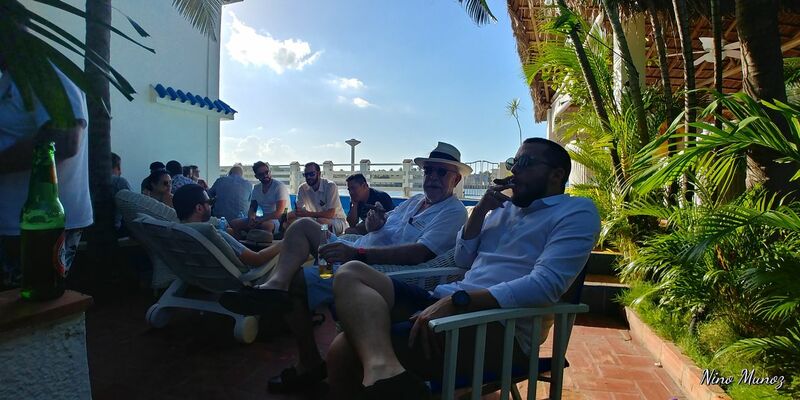 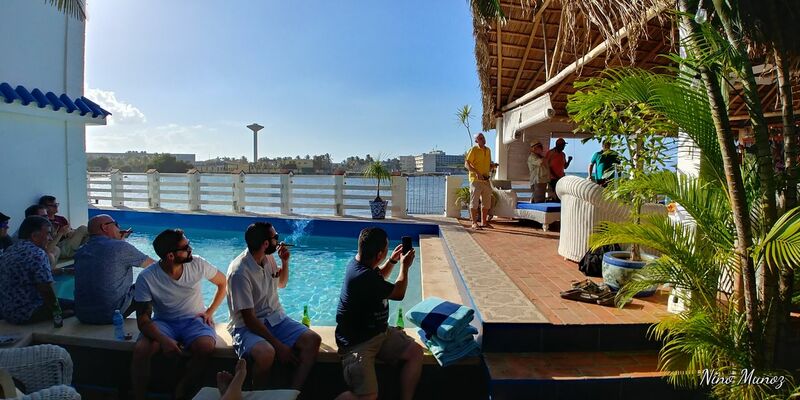 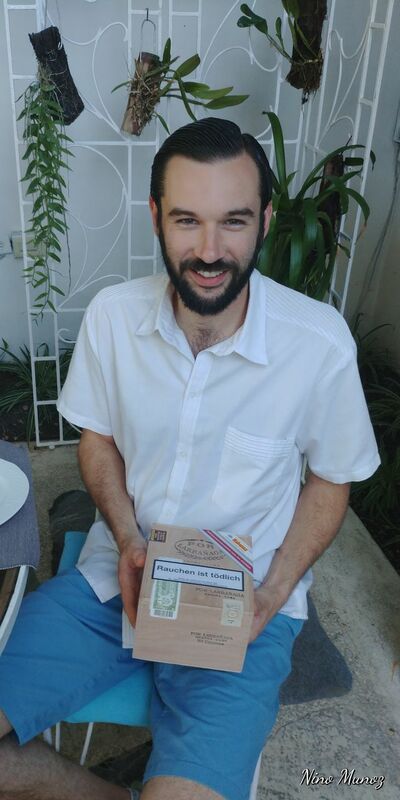 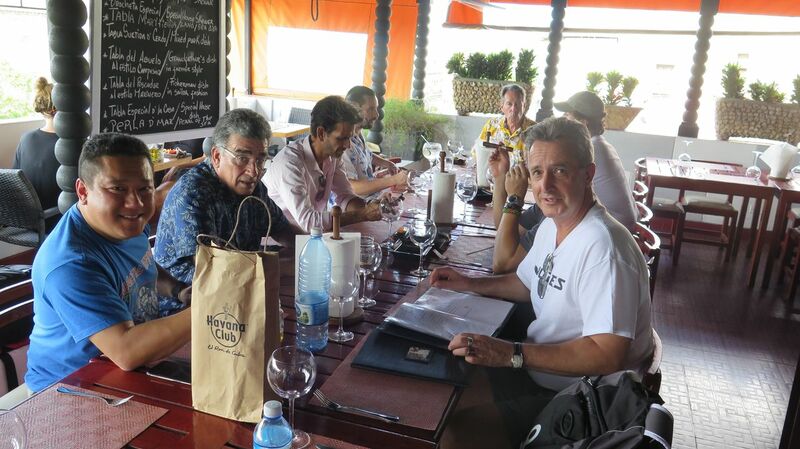 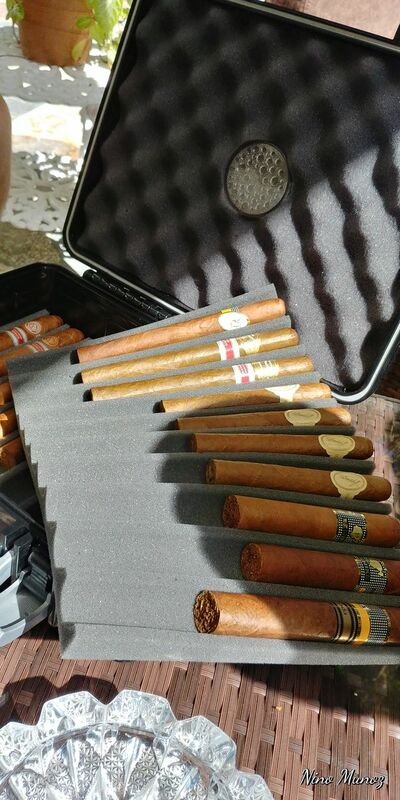 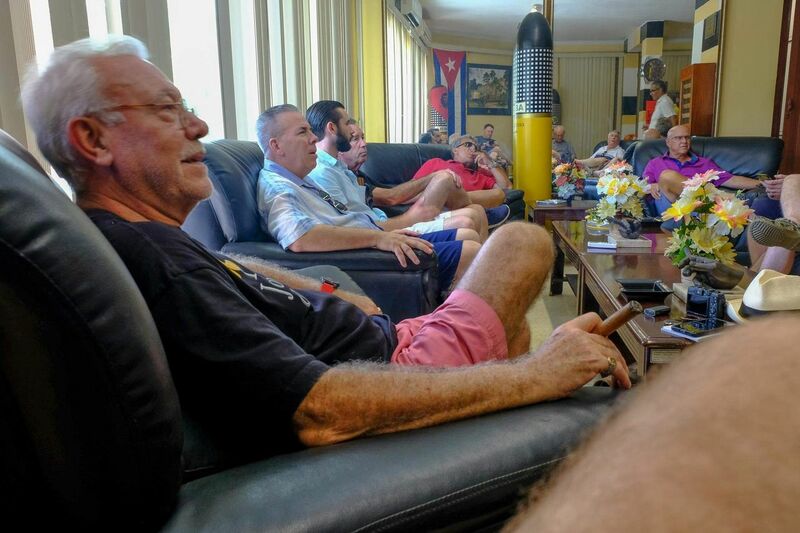 Not a bad way to spend the first eight to ten days in Havana – outside of the Partagas events but inside a fine group of friends.